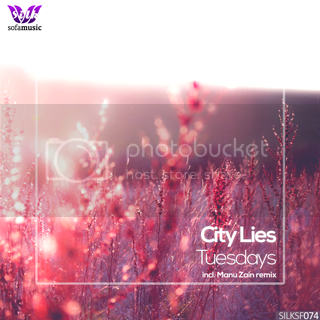 In anticipation of the forthcoming debut artist album from City Lies on Silk Sofa, we are proud to present the single release of "Tuesdays", including a remix by consistent label contributor Manu Zain. The Original Mix starts off with an intriguing soundscape, including soothing pad layers and textures, as well as a hypnotic lead melody. As the song progresses, numerous new mesmerizing synths are added, which truly heighten the atmospheric content of the track. The remix from Manu Zain quickly establishes a unique and touching atmosphere, with an array of captivating guitar elements and melodies. The soothing background percussion elements support the track beautifully, while various melodic stabs greatly enhance the textures of the song.